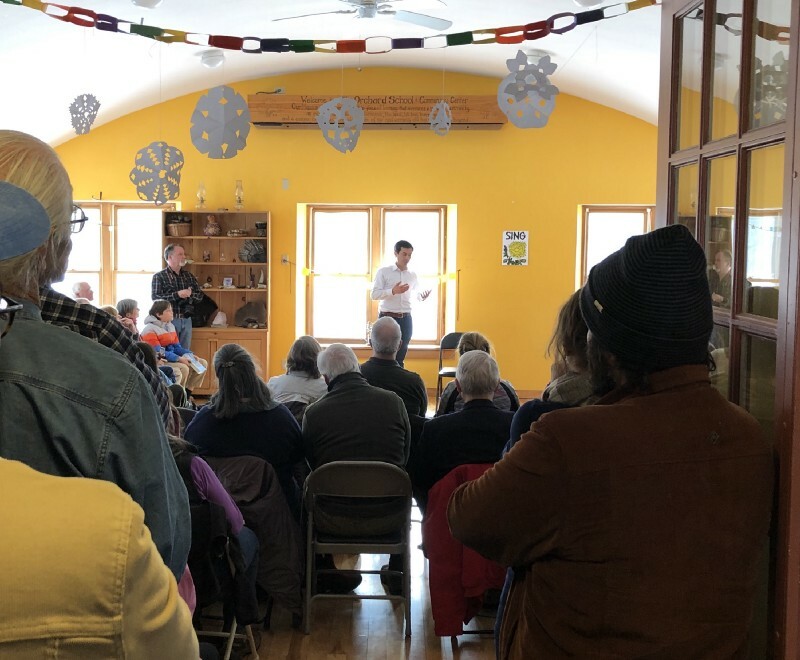 Early on a cold February morning I drove my nine month old to the Orchard School in Alstead, New Hampshire to see a contender for the 2020 Democratic nomination. My son, Augie, sat on my shoulders quietly, and blinked as the candidate answered questions from the audience about taxes, immigration and climate change. The future was on everyone’s mind. 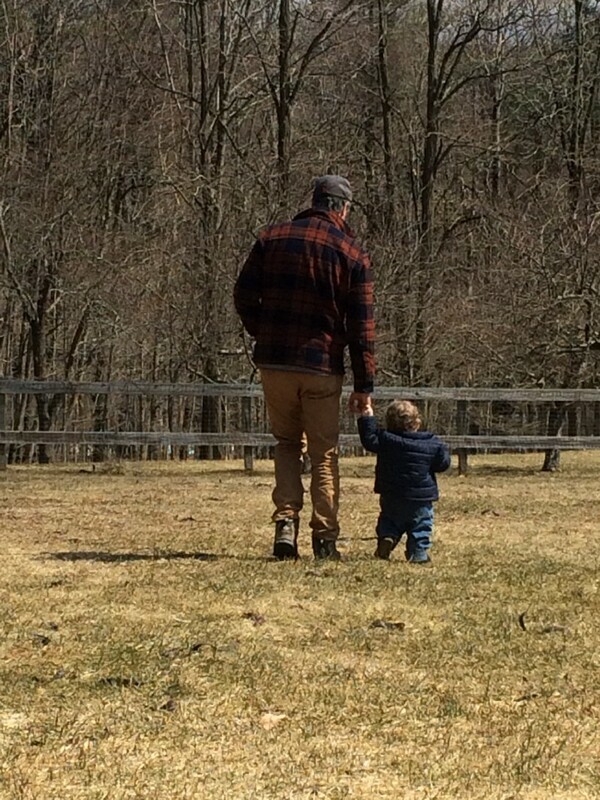 Feeling my son’s weight, I had a hard time picturing what his future would look like here in rural America. I grew up in cities, but living just over the river in Vermont has opened my eyes to a different way of life. Before Vermont, I was lucky to live in a rural place once before, in Iowa, where I worked on a presidential campaign. That was over ten years ago, but what was true then is true now: the eventual nominee will win the respect of the rural voter first, and their vote second. Respect begins with an acknowledgement of a person’s everyday experience. The race continues to heat up, and candidates will be barnstorming until January 2020. The candidates talk about their big plans at small town institutions like the Lebanon Diner in New Hampshire and longtime family farms like the Van Fossen’s in Adel, Iowa. But most of them will miss the mark. Support for farmers through the farm bill and more broadband access are important, but that’s not enough. Candidates need to recognize the fullness of the problems that rural Americans face. For many rural voters, the future is not bright. Though there are different recipes for hope, three ingredients are non-negotiable: rural communities need stability, connection and transformation. To stabilize rural communities, candidates must wrestle with the opioid crisis and get serious about health and education. Americans today, especially rural Americans, are more likely to die of an accidental opioid overdose than in a car accident or gun assault. When I asked a motel housekeeper near where I live about what a hard day looks like for her, she told me what it’s like to clean up after an overdose victim. Even in a state as small as Vermont, an average of 8 people die of an overdose every month. A candidate can win by promising to make Big Pharma pay for the damage they’ve done, by funding new doctors, clinics, and medication-assisted treatment programs. On education, though free college for all might be a non-starter, free college for students who commit to staying and contributing in rural communities would receive broad support and might slow the exodus of ambitious youth from rural places. Governments in rural states like Kansas and Vermont are experimenting with targeted tax exemptions and relocation subsidies to draw people back home to the communities that need them. Putting federal muscle into these efforts will win votes everywhere — polling shows us that even urban and suburban Americans believe rural areas receive less than their fair share of federal dollars. Reconnecting rural America to our urban economic engines won’t be easy. Candidates should embrace creative models for progress and the use of new tax incentives that have already seen success. Nonprofits like the Center on Rural Innovation help rural communities use resources they already have — fast broadband, cheap housing, and quality living — to create jobs. The rules for Opportunity Zones, a tax certification meant to bring investment dollars into distressed communities, should be changed to support business creation rather than favor real-estate development. The President’s son-in-law (who has a $25 million stake in a new opportunity zone fund with plans to invest in places like Manhattan and Los Angeles) should not be the only one to benefit from the President’s new tax laws. Let’s make the law work for rural Americans who need it. The right nominee must understand that we can transform agriculture to create new jobs and confront the existential risks of climate change at the same time. Farmers are already dealing with wetter springs, drier summers and other erratic weather that cuts into their bottom line. They’re willing to talk about these direct impacts on their lives and specific solutions, even if they prefer to steer clear of politically charged debates that feel distant. Twenty-four percent of global emissions are tied to agriculture — think methane-producing cows — and methane traps 32 times more heat than carbon. But simple changes to the diets of livestock would make a difference. With the right support, hardworking dairy and beef producers can be part of the solution. When it comes to transformation, rural Americans aren’t afraid of change so much as loss. President Eisenhower’s DARPA gave us the modern internet. It’s time we marshaled a similar collective federal investment in an “ARPA — A&I” for agriculture and industry, as suggested by author and lecturer Ramez Naam. We can preserve what’s great about rural America, its rootedness and community ethic, its history and natural beauty, while also promoting its evolution. When I talk with my neighbors at the country store or at town meeting — farmers, tradesmen, teachers, moms and dads — I hear a story about a way of life that’s under threat, a feeling of disconnection from the rest of the country’s prosperity. Voters in New Hampshire and Iowa aren’t just a ticket to securing the nomination. It’s time Democrats understood this, met rural Americans where they are, listened, and put forward real plans for progress. Luke McGowan is a former presidential campaign and White House aide who now lives with his family on a small plot of land in Vermont’s rural Upper Valley.